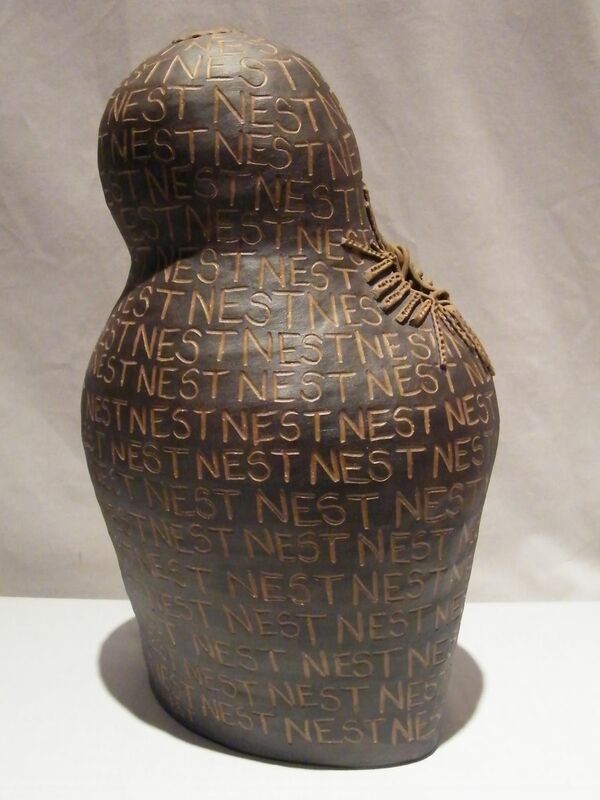 Hand coiled ceramic vessel with carved 'Nest' lettering. Outside is finished with iron oxide for a matte look with just a hint of shine. Decorative use only.